To contact the ICARUS team, please click here. Individual contact information are available on the personal home pages (see the People section). 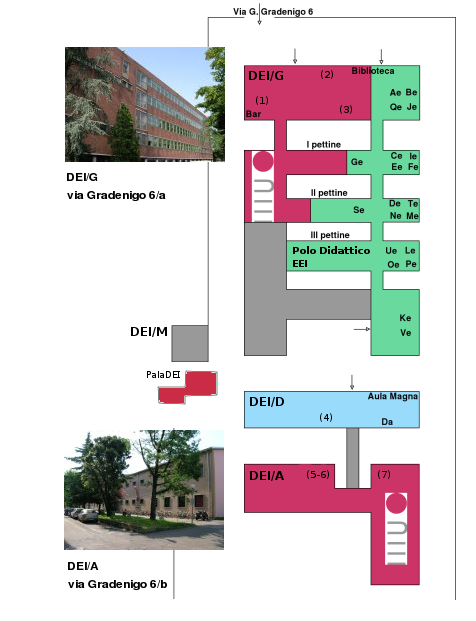 The Integrated Circuits for Analog and RF µ-Systems (ICARUS) is located in the room 008, section (5-6) at the DEI/A building of the Department of Information Engineering, as show in the map below. Please refer to this page for more information about the location of the Department of Information Engineering itself.